These two activities from the Emotions Packet encourage various visual motor skills, fine motor skills, handwriting and sensory input to help children express and understand emotions. The first activity page, I FEEL HAPPY, the child has to draw a happy face, circle all of the happy faces, draw things that make the child feel happy and write when the child feels happy. The second activity page helps the child to calm down. The child can take a deep breath, roll a small piece of play dough into a ball, place it on a number and squash the play dough. Repeat ten times. Both of the activities are from the Emotions packet. 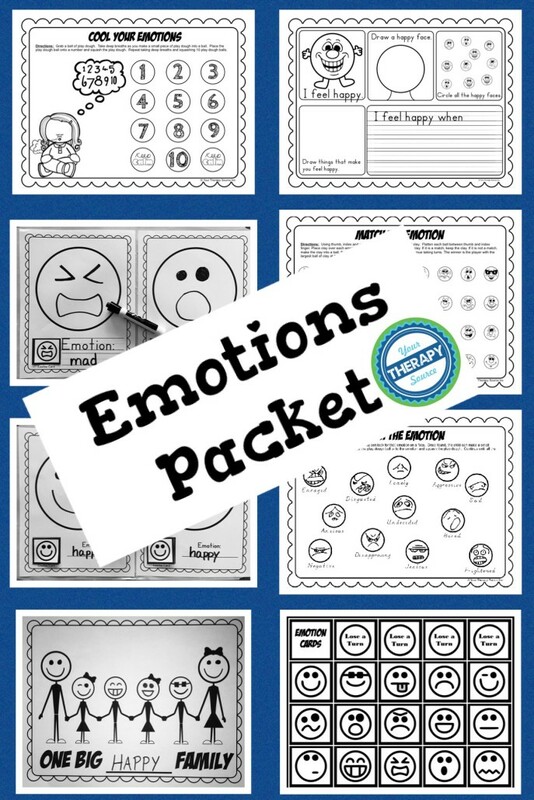 Download the Emotions packet freebie here.